You're never to old -- or to young -- to be Wonder Woman! This officially licensed DC Comics deluxe Wonder Woman cape looks just like the one in the movie. 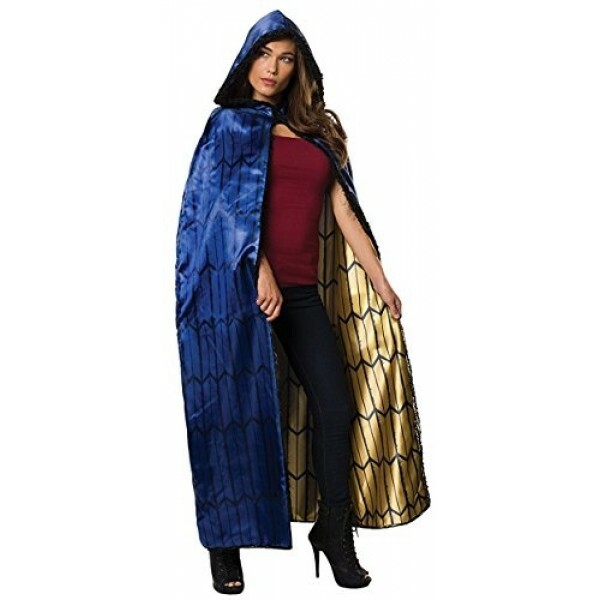 This 100% polyester cape is sized to fit teens and adults. For a version of this cape sized to fit kids aged 4 to 12, check out the kid's Wonder Woman cape.